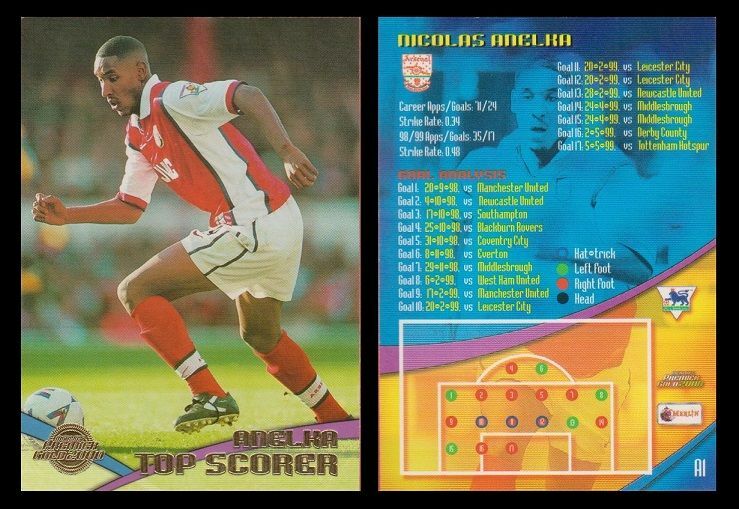 Football card issued by Merlin under the Premier Gold 2000 series. This card is from the Top Scorer sub-set. Measures approximately 6.3 x 8.9cm. 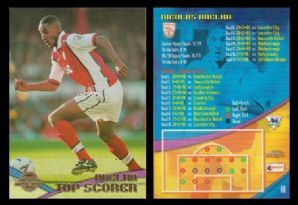 Depicting the Arsenal and France star Nicolas Anelka.